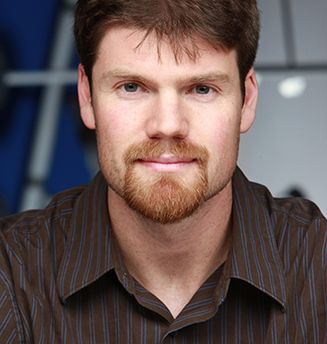 Jeff White is a Visual Effects Supervisor and Creative Director for ILM Vancouver. In 2018, the Academy of Motion Picture Arts and Sciences honored White with a Technical Achievement Award for his original design of ILM’s procedural rigging system, Block Party. That same year he received an Oscar nomination for visual effects for his work on Kong: Skull Island. White joined Industrial Light & Magic in 2002 as a creature technical director. He is a graduate of Ithaca College’s Cinema and Photography program and has a Masters of Fine Arts from the Savannah College of Art and Design. Prior to attending graduate school, White worked as technical director for Laika Studios in Portland, Oregon. After arriving at ILM, White worked as a Creature Technical Director on a variety of films including: Pirates of the Caribbean: Dead Man’s Chest, Lemony Snicket: A Series of Unfortunate Events, War of the Worlds, and Star Wars: Episode III “Revenge of the Sith”. White is also the co-creator of ILM’s well-known Block Party creature rigging system, which automates the time consuming process of complex character rigging. On Transformers he served as Digital Production Supervisor. Continuing his work with the franchise, White served as the Associate Visual Effects Supervisor on Revenge of the Fallen and Co-Visual Effects Supervisor on Transformers: Dark of the Moon. In 2012, White served as the ILM Visual Effects Supervisor on Marvel’s blockbuster film The Avengers directed by Joss Whedon and received both an Academy Award and BAFTA nomination for the work. After a stint supervising the early work on Michael Bay’s Transformers Age of Extinction, Jeff assumed the role of Visual Effects Supervisor on Warcraft, based on the legendary video game by Blizzard Entertainment. In 2017 he served as the Visual Effects Supervisor for Kong: Skull Island, for which he received a nomination from the Visual Effects Society for Outstanding Visual Effects in a Photoreal Feature in addition to the Oscar nomination.